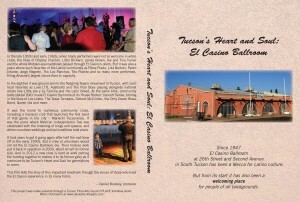 The DVD of the documentary “Tucson’s Heart and Soul: El Casino Ballroom” goes on sale December 10. The DVDs are $20, plus a $5 charge for shipping and handling. Copies of the previous Cine Plaza at the Fox documentaries are also available. The first DVD, with the films on the old Cine Plaza, the downtown scene before urban renewal, and urban renewal in Tucson, are $20 plus $5 shipping. The Barrio Hollywood DVD is $10 plus $5 shipping. And you can order all three together for $50, shipping included. Make sure to let me know which DVD (s) you want, and include your full name, address, email (if available) and phone number so we can keep you up to date about further film projects. No one will pester you and the list will not be sold, but we’ll let you know when we’re screening new films. Allow roughly 1 week in Tucson, 10 days national, for delivery. You can also email me at dbtucson@gmail.com. 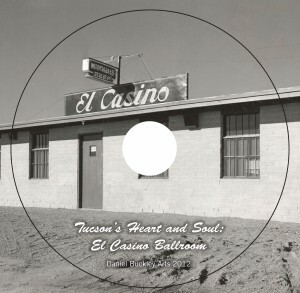 In addition, copies of “Tucson’s Heart and Soul: El casino Ballroom” are available at El Casino Ballroom, 437 East 26th St., Tucson, Arizona for $20/copy. 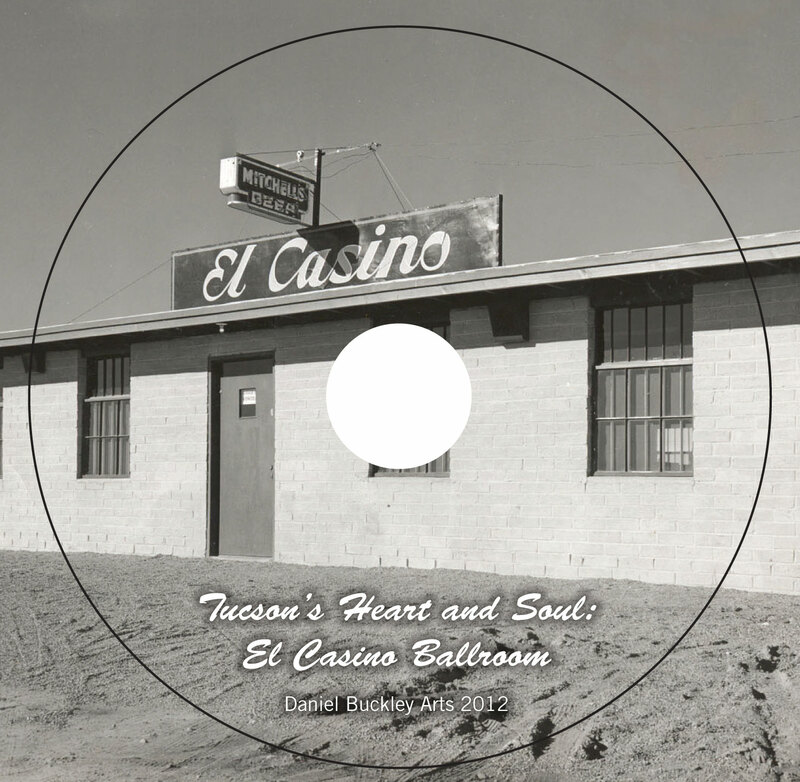 $5 of each copy sold at El casino Ballroom goes towards its restoration project. ~ by Daniel Buckley on December 7, 2012.